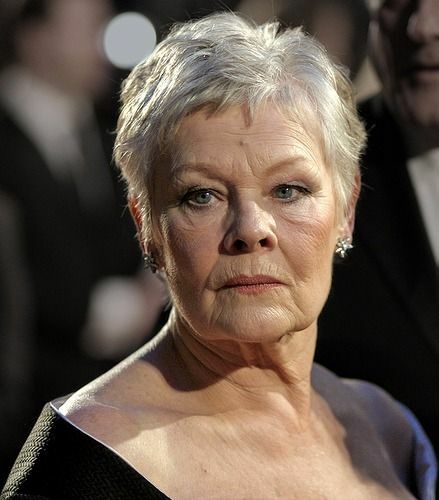 Dame Judith Olivia Dench (born 9 December 1934), known as Judi Dench, is an English actress and author. 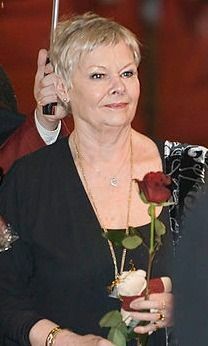 Dench made her professional debut in 1957 with the Old Vic Company. Over the following few years she performed in several of Shakespeare's plays in such roles as Ophelia in Hamlet, Juliet in Romeo and Juliet and Lady Macbeth in Macbeth. Although most of her work during this period was in theatre, she also branched into film work, and won a BAFTA Award as Most Promising Newcomer. She drew strong reviews for her leading role in the musical Cabaret in 1968. Read more on Wikipedia.